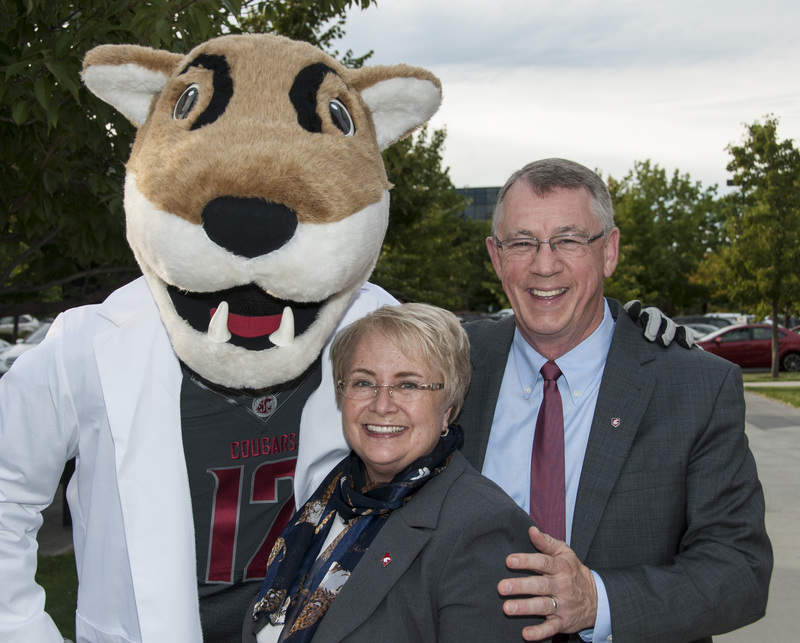 Brian Pitcher, Ph.D., is retiring June 1 from Washington State University after more than ten years in senior administration. Pitcher was provost at the University of Idaho when he was appointed WSU Spokane chancellor in January 2005. In 2005, much of the South Campus Facility was renovated and its new use included the Sleep and Performance Research Lab as well as The Bookie. In 2006, a new building opened as the Academic Center, housing a library, campus administration and intended to be the heart of the campus. In 2009, a new building opened for the College of Nursing and nursing students moved from an off campus location to the campus. Pitcher also led the campus in partnership with Spokane community leaders to persuade the Washington Legislature to fund a new research building on campus to accommodate the College of Pharmacy and to expand the medical education program. The initiative was successful; the building opened in 2013. During Pitcher’s tenure as chancellor, WSU Spokane refined its focus to become a highly competitive graduate and professional research institution in the health sciences. WSU President Elson S. Floyd said he appreciates the many contributions Pitcher made during his tenure at WSU. In January 2013 Pitcher became the WSU vice provost for regional programs with responsibilities for coordinating WSU academic affairs across all urban branch campuses. Pitcher will retire as chancellor emeritus.